Apraxia, also known as childhood apraxia of speech (CAS), has become the go-to diagnosis for many children in Early Intervention (under 3 years of age). However, many of these children do not have apraxia or are too young to receive a true diagnosis. 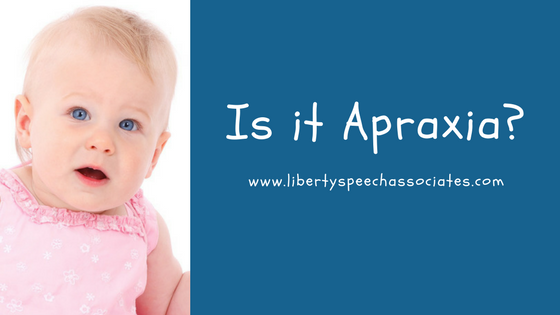 So what is apraxia? If you have concerns with any aspect of your child’s speech or language development, it is suggested that you contact a local speech-language pathologist so that a thorough evaluation can be completed. 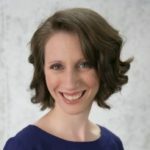 Courtney Caruso, M.S., CCC-SLP, is a bilingual (English/Spanish) speech-language pathologist and the owner and founder of Liberty Speech Associates LLC, a speech therapy practice in NJ and PA. Copyright 2019 - Liberty Speech Associates.